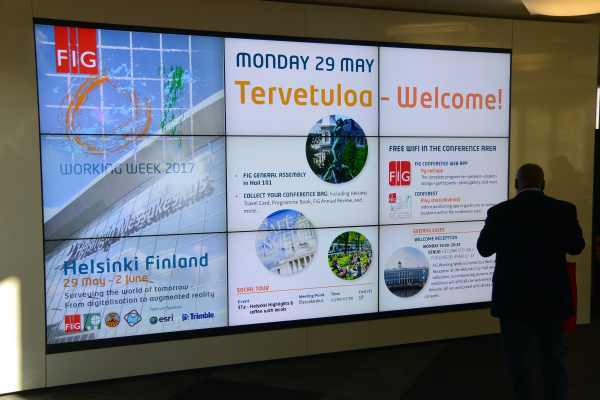 FIG Working Week 2017 is taking place right now in Helsinki Finland. More than 1200 participants from around 100 countries have found their way to Helsinki. They have the possibility to follow 80 different sessions during the three session days. On Monday 29 May the first Session of the General Assembly took place. President Chryssy Potsiou delivered her report to the General Assembly on the activities that have taken place since the last General Assembly in Christchurch, New Zealand in 2016. 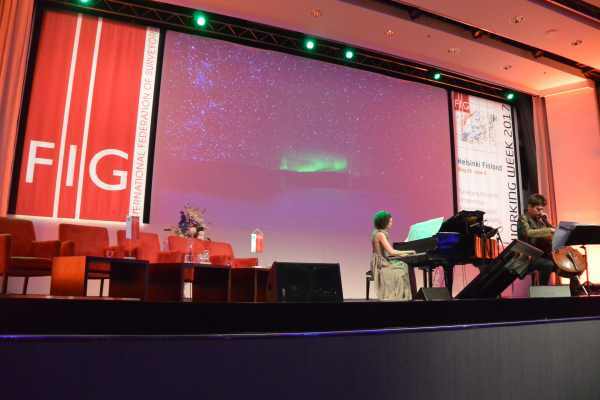 The Opening Ceremony marked the start of the Working Week accompanied by music by the Finnish Composer Jean Sibelius. The Opening Ceremony was followed by the first plenary session with the theme: Living of Tomorrow – In a Digitalised World with presentations by Arvo Kokkonen, Director General, National Land Survey, Finland, Mr. Greg Bentley Chief Executive Officer Bentley Systems and Mr. Oumar Sylla Land and GLTN Unit Leader UN Habitat / Global Land Tool Network.